The original caption on this pic said it all: Getting back to basics – no computer or finances or real estate or real life. 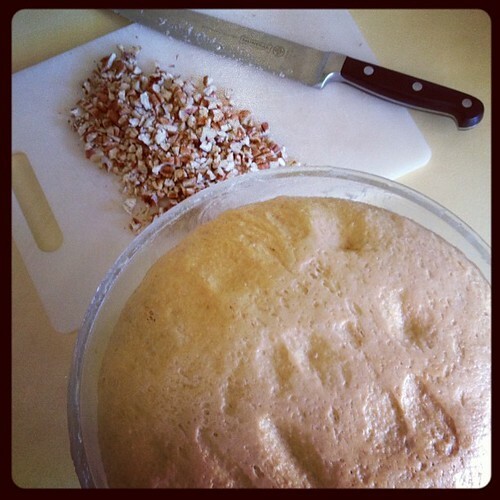 Just eggs, flour and bare hands kneading away the day. It was rolled and cut by hand because I couldn’t be bothered with the pasta machine. Then topped with a simple pasta sauce made from the Semptember/October IMK passata. 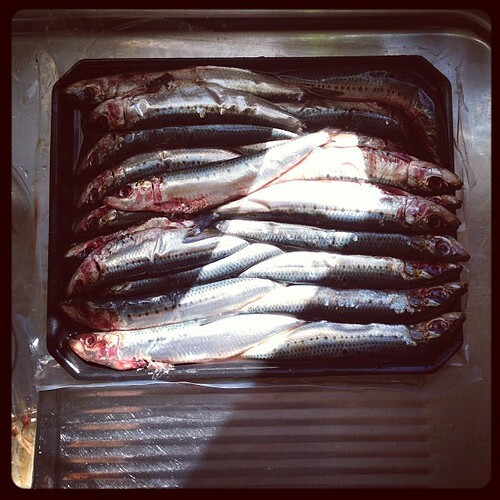 Sardines bought from the Cleanfish Australia market the weekend it opened. They were filleted and subsequently frozen for quick meals like this sandwich. 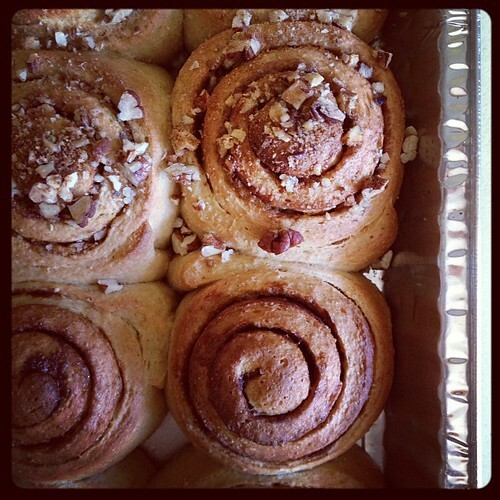 RJ asked if I could make cinnamon rolls for him to take into work. Sure. 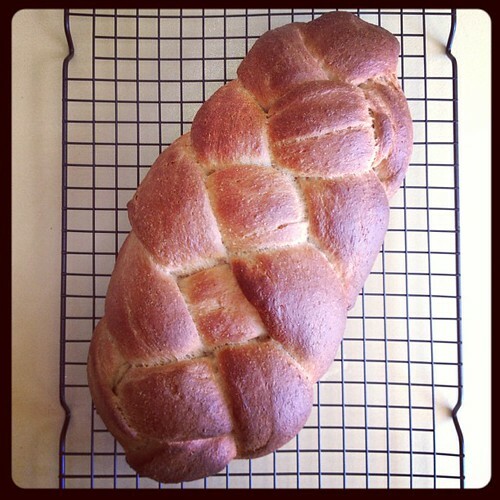 Half with peacans, half without, plus a braided loaf for us. I forgot to brush them with egg before baking so not as pretty as usual — but still pretty damn tasty. Kale! 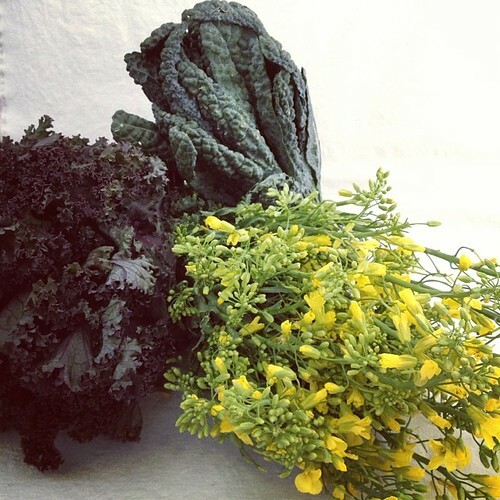 and Kale flowers! picked up on a pre-breakfast tour of Sydney Markets at Flemington as part of a long table feast event* during Good Food Month. Ever since Texas RJ had been asking for brisket. 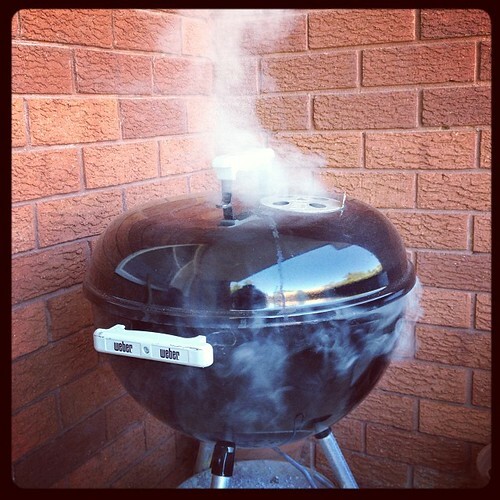 So one day we fired up the Weber and went for it. 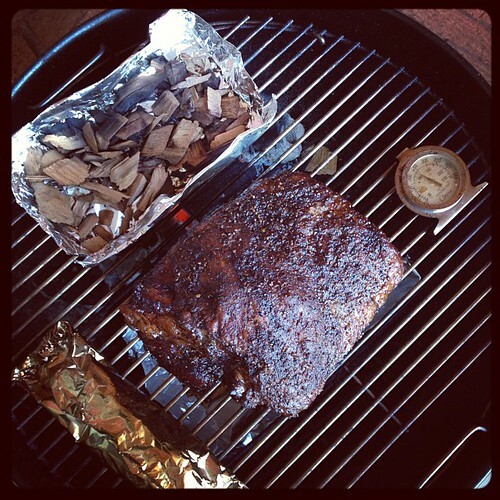 I figure the neighbours smoke cigarettes on their balcony so it’s only fair I smoke brisket. I win. The resulting feast makes up a few of those aforementioned draft posts. 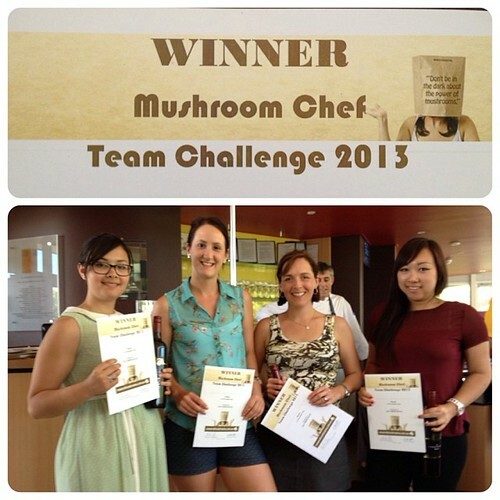 As part of the Mushroom expedition on the Sunday of Eat.Drink.Blog there was a cook-off challenge. What would you know but the group I was with won against 7 other teams! Our dishes? 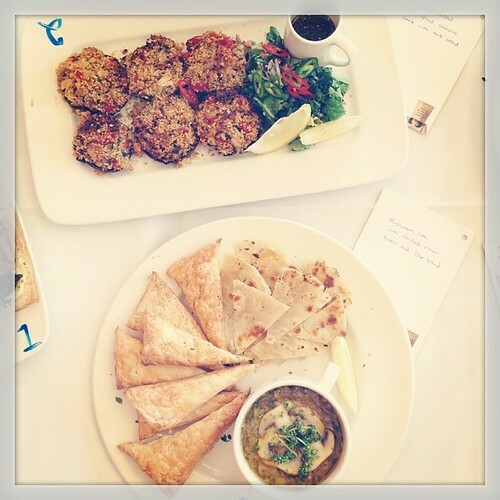 Stuffed Mushrooms and a Mushroom Pate with clarified brown butter. Yes ma’am I clarified butter then browned it. Stay tuned for a new Summer Mushrooms recipe in a few weeks and in the meantime remember to enter the Power of Mushrooms holiday giveaway competition! 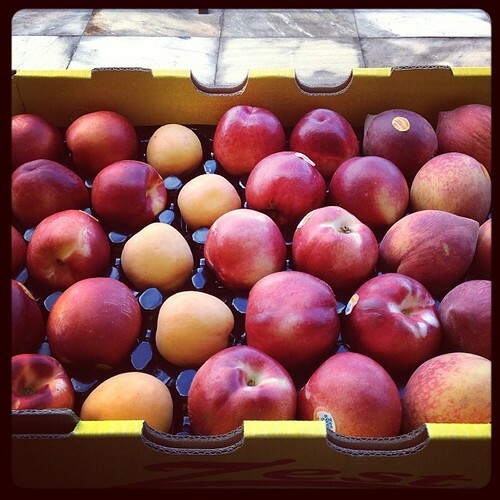 Who am I to say no to a tray* of gorgeous Aussie Stonefruit. 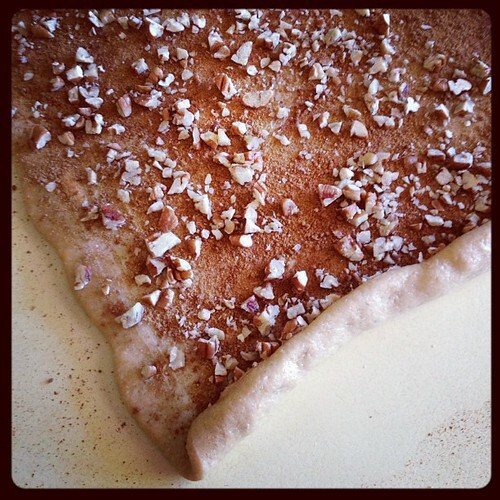 I wrote about the import issue here and then I made pie. 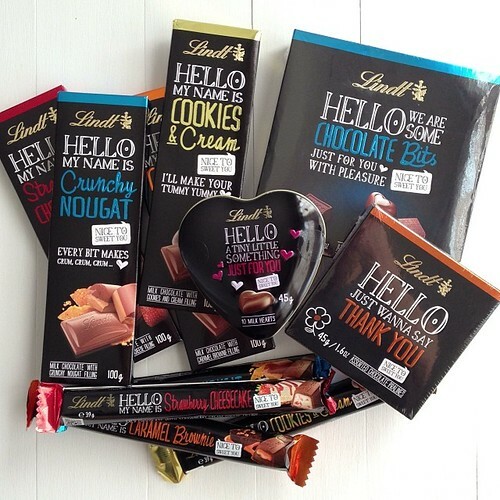 A treat from Lindt* as part of a new limited-time range at the end of last year. 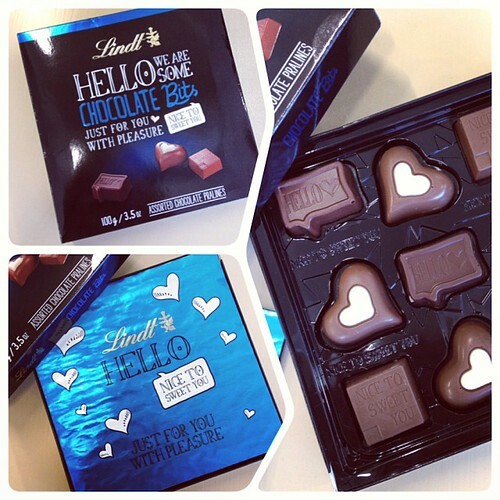 No dark (which is always my preference) but how fun is the packaging? RJ’s workmates made quick work of all of it. 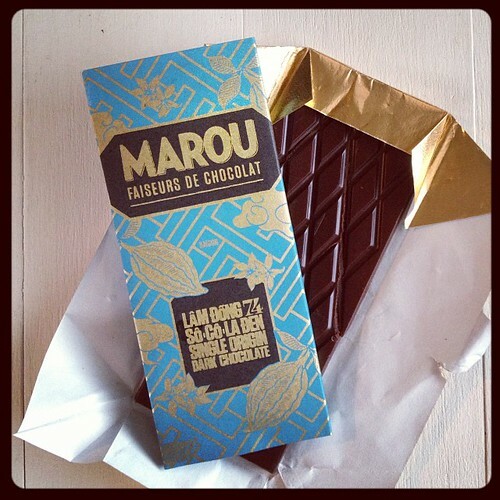 I’d wanted to try Marou chocolate for a while so needless to say I was quite pleased when it appeared in the Bao Town pop-up goodie bag! It’s rich and a touch bitter with (interestingly enough) a honey undertone. 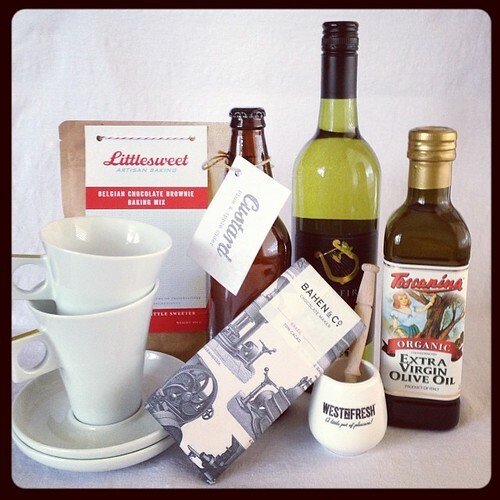 A few goodies from the Eat.Drink.Blog goodie bag*. Especially loving the Bahen & Co chocolate. 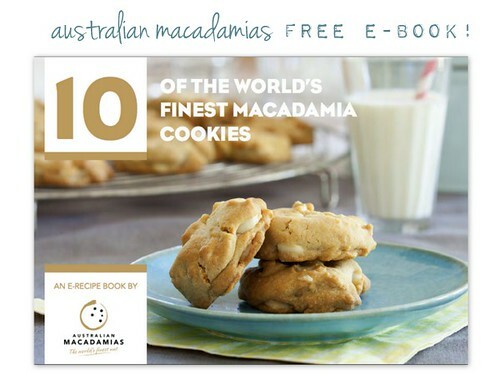 Have you downloaded your free copy of the Australian Macadamias cookie e-book? No? Well you best go do it now. 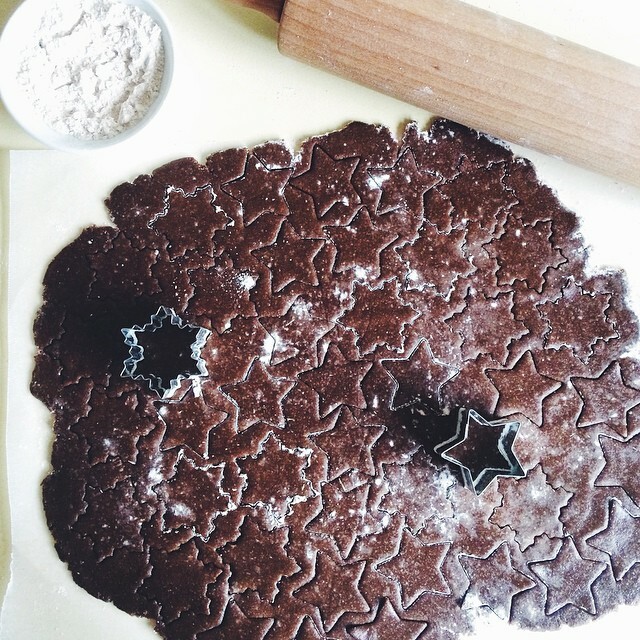 Because, cookies. Obviously. 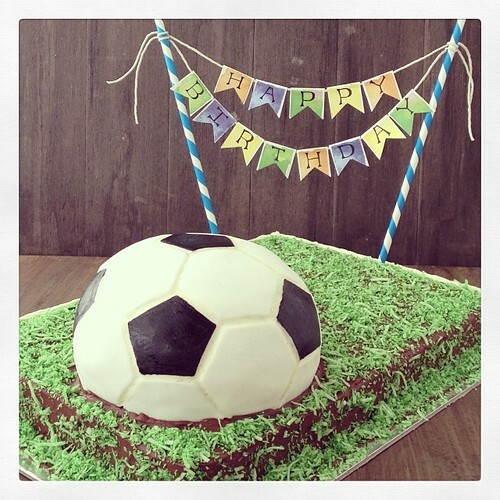 I made a soccer cake for my nephew. You can bet I’ll blog this one soon. 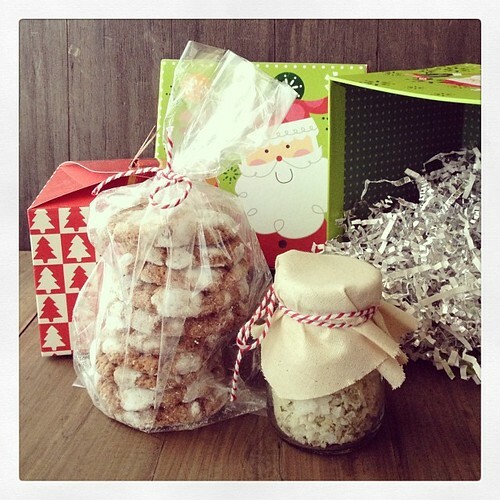 Christmas BBQ invites mean ‘can you bring a dessert?’ requests. Not a problem. 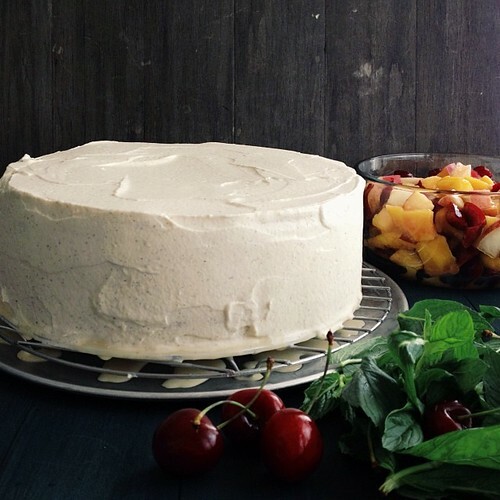 Tres Leches cake with summer fruit to the rescue. Not even a slight attempt to make this one healthy. Because, Christmas. Oh the prop obsession is strong in this one… ahem. 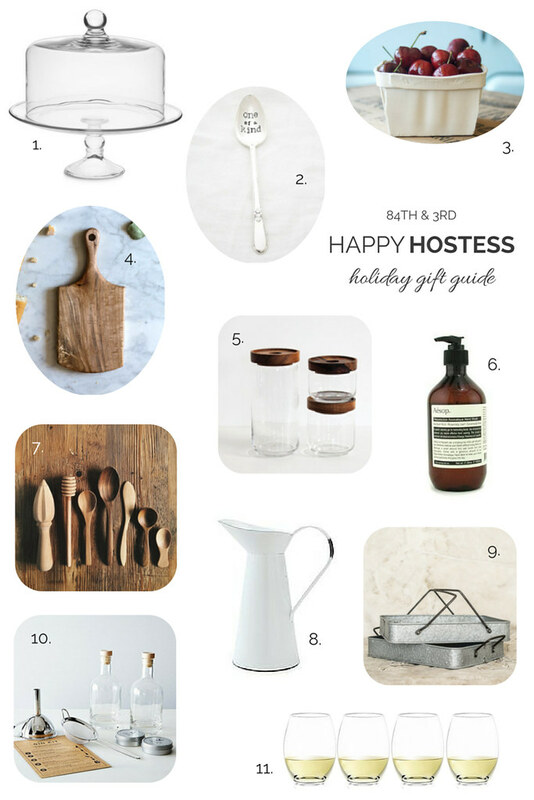 Went to Target one day looking for a white cake stand that was rumoured to be on sale. The stand was full price so instead I left with these beauties. Oops (not really oops). I GOT A NEW CAMERA!!! Just a bit excited. 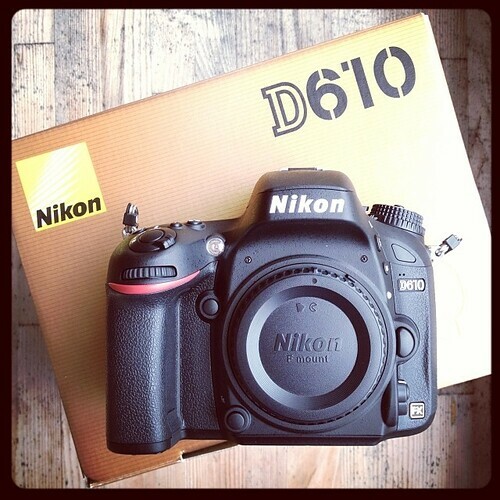 This little beauty is an upgrade from my old Nikon and a step firmly into full-frame territory. Can someone please explain when I will ever require a 24MB+ image. Seriously, I’m not shooting for billboards. Well not yet (ha). I do wish you could reduce the image size on RAW. Would you believe it — I went to an event and won the lucky badge draw at the end! The prize? 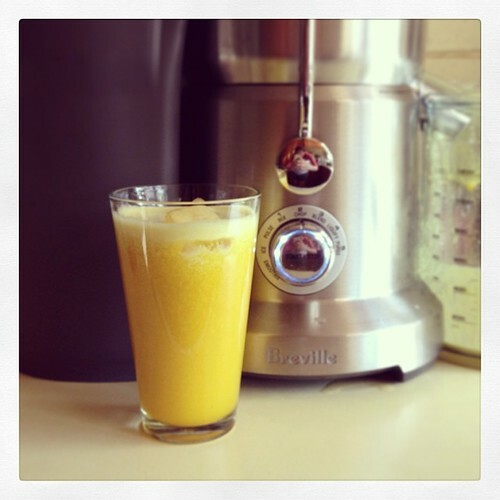 A Breville Juicer/Blender combo. We had been talking for years about getting a juicer and so this was a perfect surprise. 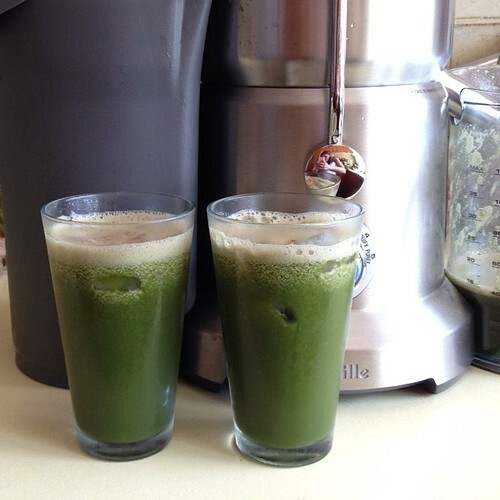 Needless to say we’ve been juicing like crazy lately. A bit of retail therapy in the form of #oppshopobsession. Find of the day was the properly vintage (ie not made in China) sugar tin for $3. 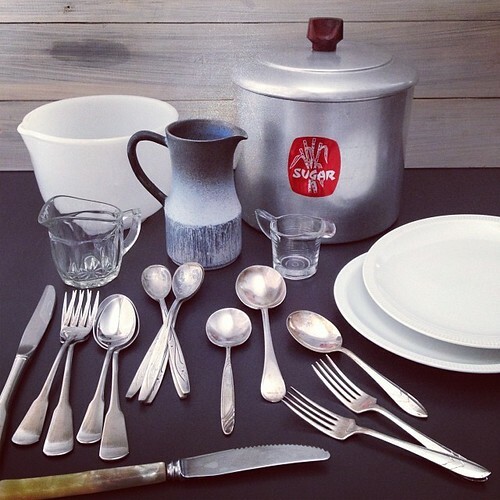 My obsession with opp shops is only seconded by my love of home-wares stores. RJ barely argues anymore when I go into either and simply hopes that things are too expensive for me to justify them. Enter Haven & Spice, a shop just off the main street in Berry, discovered during our recent mini-break. J: Only $5.95? I must have it! R: Um, no you mustn’t. 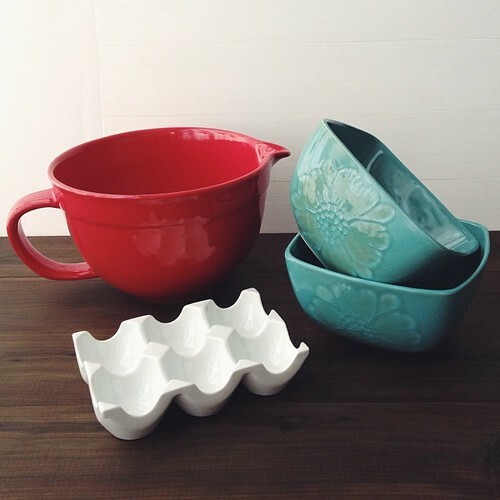 J: But its red and has a handle and a spout and can be used for pancakes. Here, hand model it for me. Register lady: Have you seen our other shop across the street? 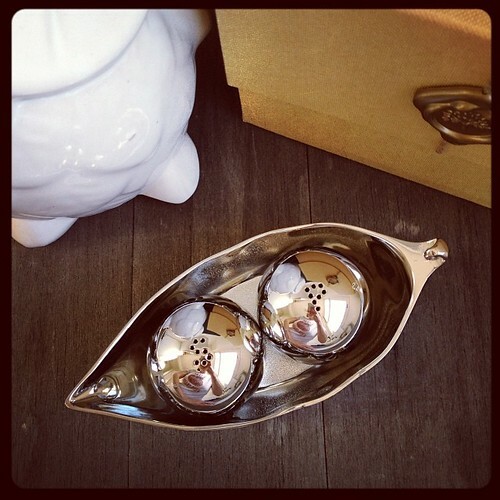 J: Only $2.50 for this egg holder, I’ve wanted one for ages! R: It will take up too much space in the fridge. J: Who says it will ever see the fridge? 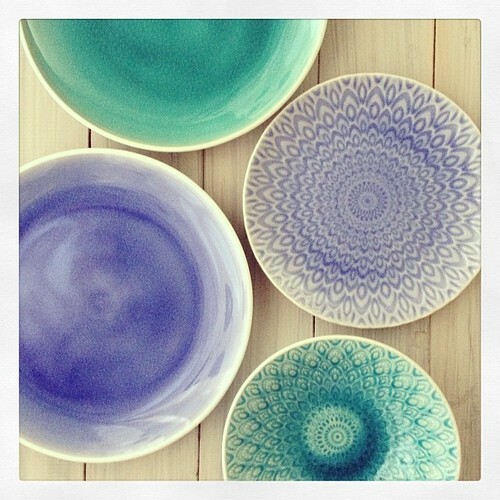 J: Eeek, look at these bowls, teal and only $1.95, I must have one. R: I thought you were only getting one. J: Don’t be silly, I need two if I’m to use them for photos. Then on our way back to Sydney we stopped in Robertson. RJ got a pie, I got cheese and bread. One shop down from the Cheese Shop was a vintage-wares store. $4 later these babies were mine. 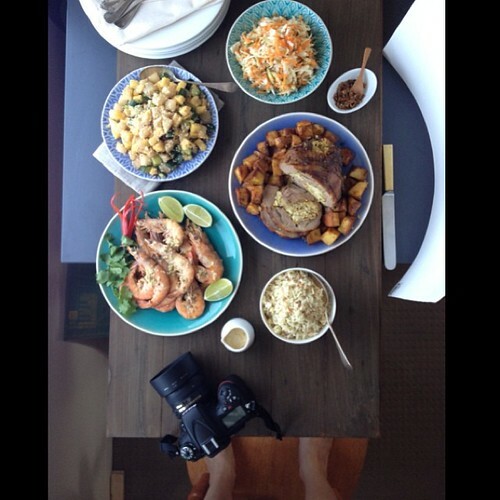 I’ve been doing quite a bit of commercial developing / testing / photographing of recipes lately. You can download one of the recipe cards (yep, also doing print design) over on Jackie M’s new site (yep, also doing web design) now. Ok so it’s not my kitchen, but close enough as I made it my own with a hefty dose of food prep and styling for an episode of The Travel Bug! After a particularly hard few days RJ showed up with these one evening. Yeah, I’ll keep him around for a while. More dining table than kitchen but oh well. 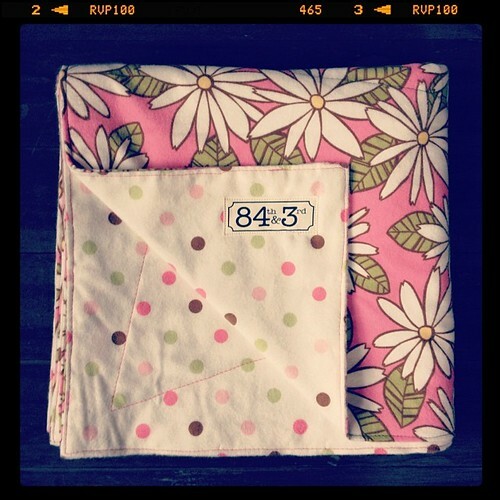 A commissioned blanket as a baby gift for one of RJ’s colleagues. I make stuff. A few months back I won a blog giveaway for a year of any mag from Zunio. 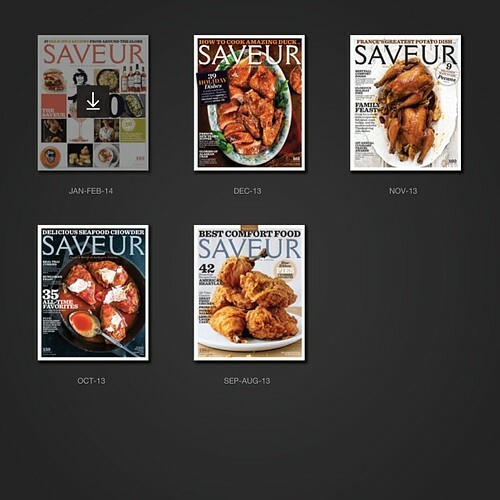 I chose Saveur and have really been enjoying it. 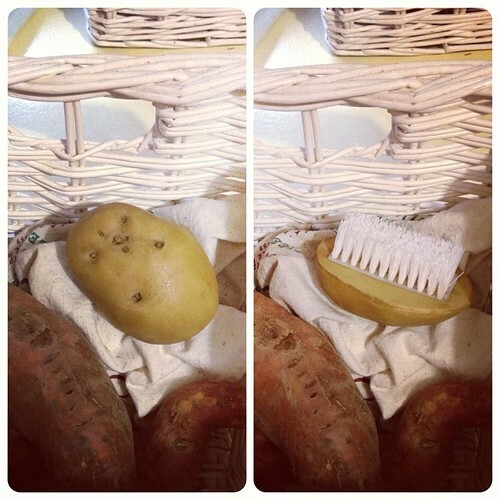 Is it a potato or is it a brush? It’s a potato brush! Found this in a box in the garage. 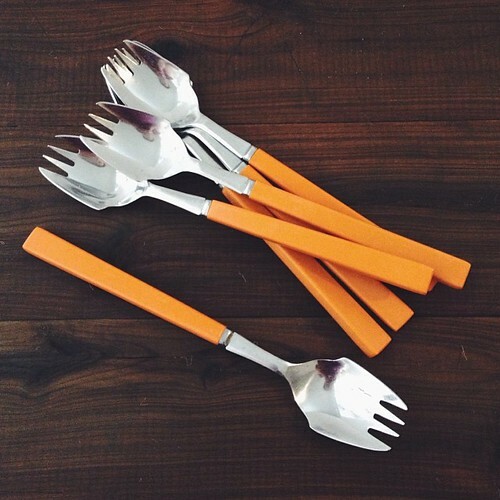 How very handy. Meet the onion man. He’s missing a foot but that doesn’t stop him from protecting the onions. 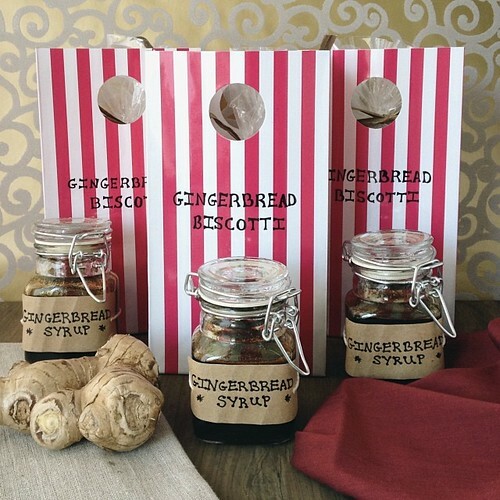 The lovely Foodie Secret Santa gifts got a mention in my Gingerbread Biscotti and Gingerbread Syrup posts but they are worth another peek. 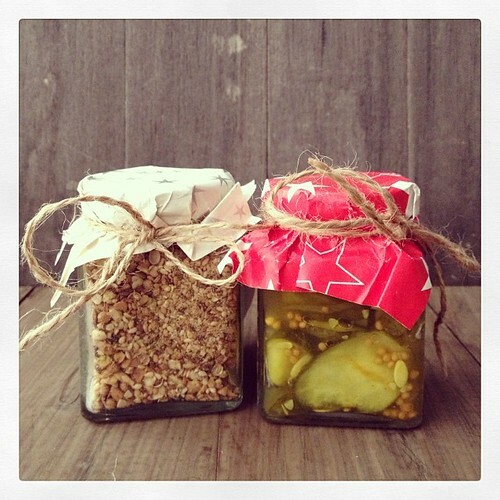 Bread & Butter Pickles eaten straight from the jar, Dukkah and Lemon & Rosemary Salt sprinkled on pretty much anything, Choc Crinkles and a brilliant Cranberry Sauce taken to Christmas lunch to share with family. Remember when I took the seeds from that little ball chilli and sprouted them? 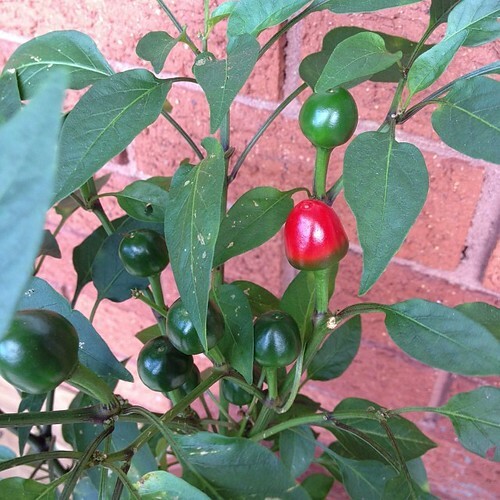 Well I finally re-potted some of the plants and look what’s happened — chillies! You know how much RJ loves it when I get more tea (ha!) 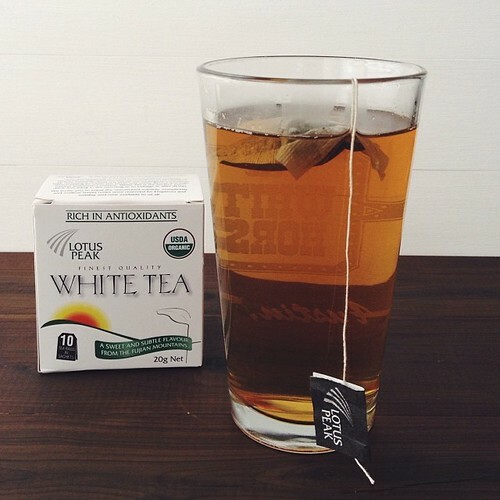 — this is a White Tea* that was sent to me to try. It isn’t as floral as some I’ve had but is delicate overall and would be great iced for summer. 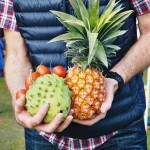 Australian Organic, a national not for profit organisation, is launching a new campaign to encourage Australians to look for the Australian Certified Organic logo. As part of the campaign I received a goodie bag* with certified organic products. Some — like Pure Harvest and Kialla — I’ve bought for ages, while others — like Hari Hari Chai — I’m looking forward to trying. The campaign interests me both from an advertising perspective as well as from an ‘eater of organic things’ angle. According to Australian Organic the logo, “guarantees the product to be free range, GM free, pasture-fed, water efficient, and biodiversity friendly as well as grown free from synthetic pesticides, herbicides, hormones and antibiotics”. It is an easy way for consumers to ensure that they are getting what they are paying for. Right? Organic practices have been around forever — quite literally — how do you think things were grown before the introduction of pesticides? And my view is quite simple, the less chemicals in and on my body the better. But when something niche becomes mainstream it in turn sees larger production runs and every man and his dog claiming to be part of the club to increase their sales. A word used to describe practices ends up instead being a misused marketing term and as a result organic-labeled goods are getting as much not-so-good press these days as they are good. Regulation (in place since the late 80’s in Australia for those keeping score) is necessary, and tighter scrutiny and subsequent certification on a term not fully understood by many is a step in the right direction. I do understand that certification is a difficult and expensive path, so as a result many farmers and small producers are using organic practices (for the good of the environment) without the official recognition, and brands that have financial backing to tick the boxes are getting the on-pack seal. Now I’m not sure of the specific rules put in place around the requirements that need to be met (ie how is ‘water efficient’ determined, what are the rules around ‘free range’) for the certification. Some will quietly say that any regulation is better than none at all, while others will loudly protest it isn’t ever strict enough. It’s up to you to make that call for yourself. 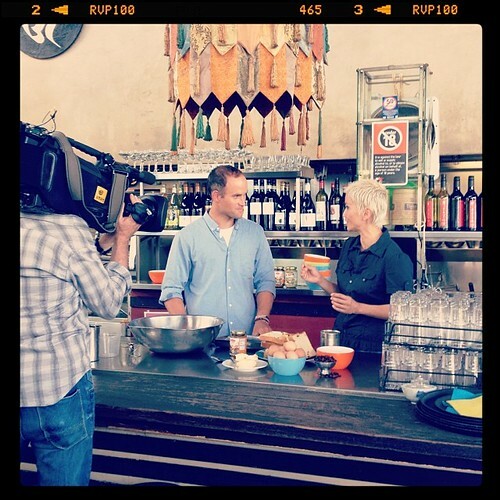 So about the campaign… With more and more popularity around organic products, Australian Organic want to educate consumers on how to ensure they are getting products that meet the established Australian standards. 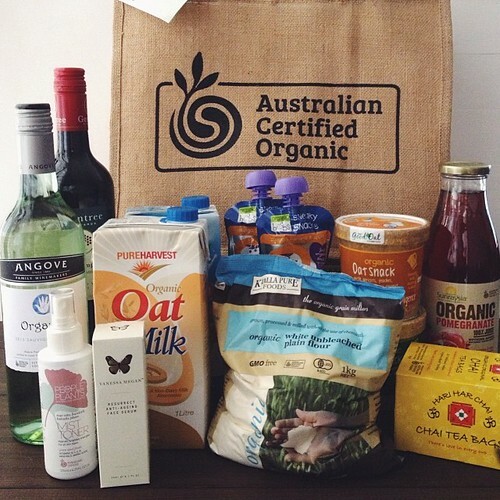 To find certified products look for the Australian Certified Organic logo, simple as that. Just remember that an organic certification can mean the product is healthier for you based on the aforementioned requirements, but an organic cookie is still a cookie and you shouldn’t eat more of them just because they are made without pesticides. So along with those organic packaged products make sure you pop a few bunches of organic kale into your basket too. Well that does it for the time being and now that I’m all caught up again we’ll see how I go for a February installment… stay tuned. 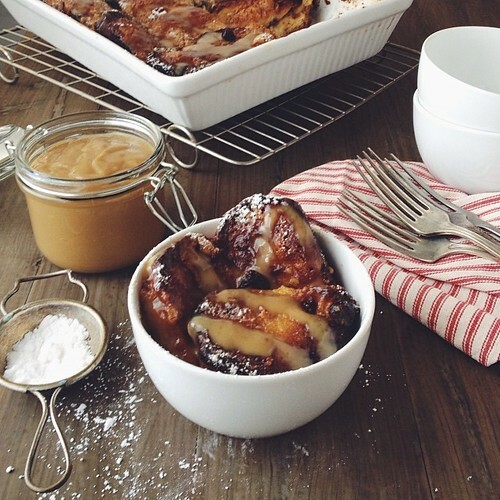 In the meantime don’t forget to pop over and check out the other kitchens linked up at Celia’s. * Asterisked items were gifted to me in accordance with my editorial policy. Nothing here is a paid sponsorship. All opinions are fully my own. Supercalafragalisticexpialadoshus. Beam me up Scotty. Stop JJ…it is just too much! Only joking, love these posts, I cannot believe how much you pack into them. 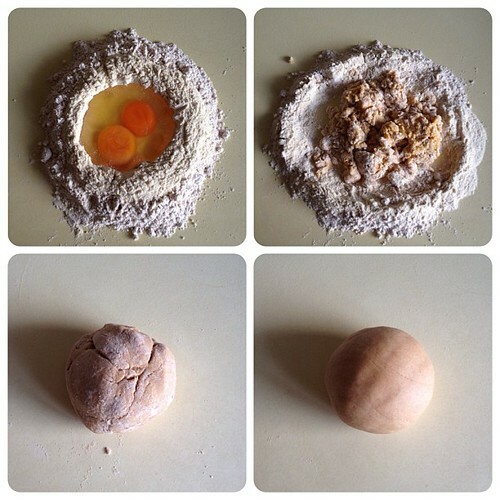 I could comment on almost everything but I think my favourite part is your home made pasta. Your caption says it all…simple perfection! Heehee it is too much ;D If I start doing them monthly rather than quarterly they’ll be much more reasonable! Your kitchen view this month cannot be beat! 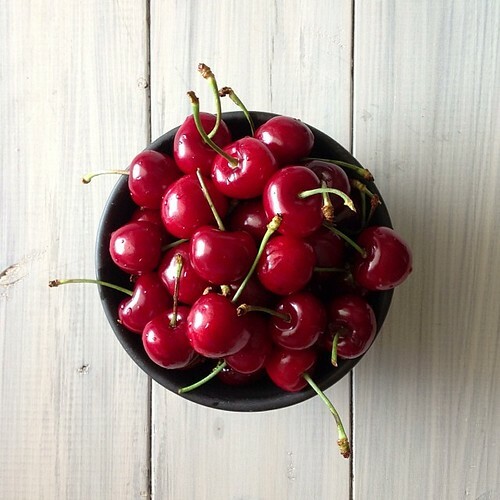 I loved your Cherry photo and always look forward to Cherry Season! Wow JJ you sure have been busy. 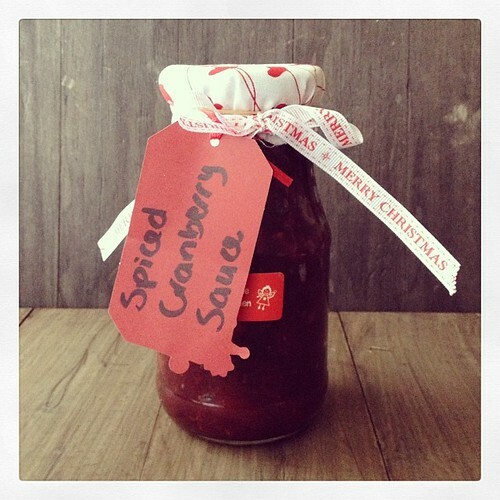 Those little goodies you got in Berry are enviable but your chili is the star. Well done! 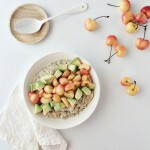 Lordy, now that’s a haul… lots of good things in your kitchen JJ, too many to comment on… but I love cherries too! 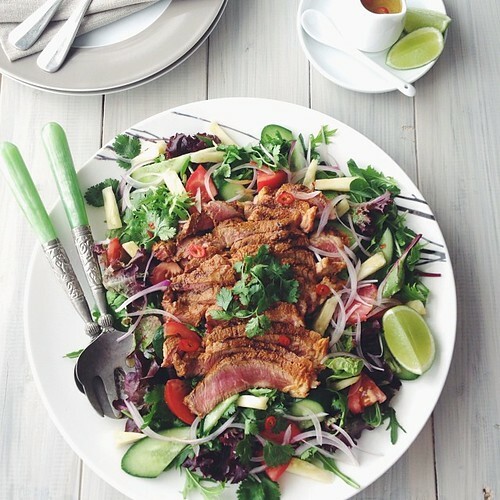 Love your organic goodies – but totally agree, just because it’s organic doesn’t mean you can eat them all every day. 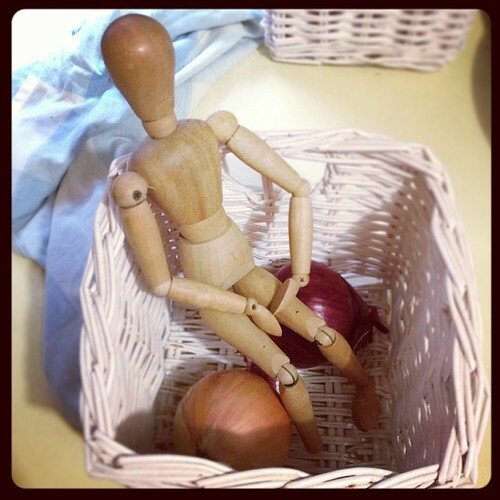 I’m curious about onion man – does he make them last longer? ha not remotely, random council collection treasure that ended up in the onion basket and never made it any further! JJ, your post was a feast for the eyes! (I also enjoy your writing style.) 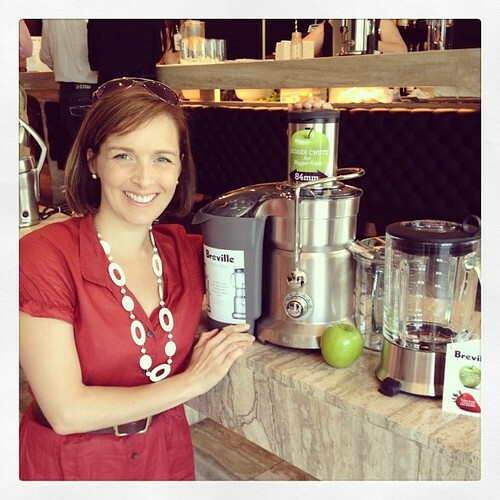 Congratulations on winning the juicer! Cheers Kim! Yeah, it was a great surprise! Wow! What an informative, beautiful post. Coming to Sydney this week and will be looking for goodies! 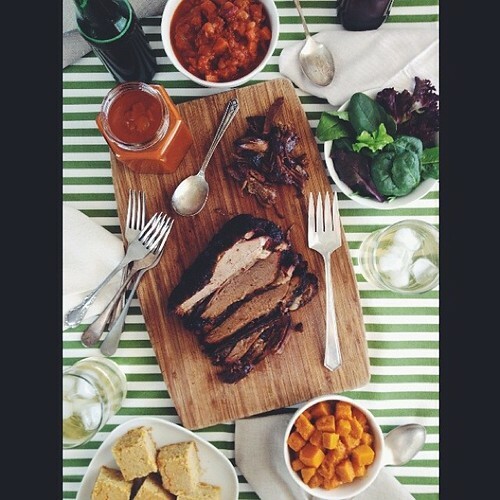 omg that brisket looks amazing, and i want that tres leches cake too! i’m a compulsive op-shopper as well. way too addictive! 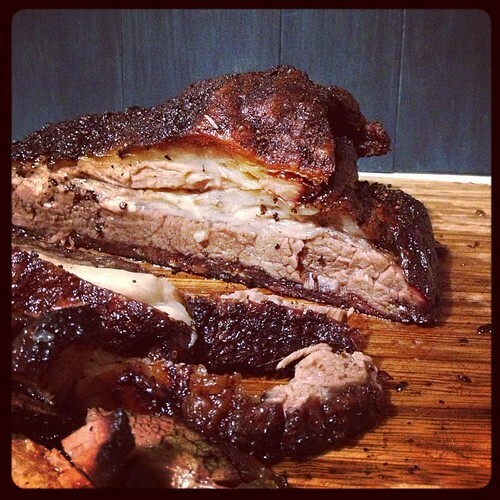 Was really pleased with how the brisket came out! I love that retro red canister. I have a matching stacked set saying ‘biscuits, cakes, cones’ with the same patter. Well spotted! Op shops are so much fun.a and so is Berry.You made the best mushroom pate that I am still dreaming about in that competition and now a juicer. Congratulations! 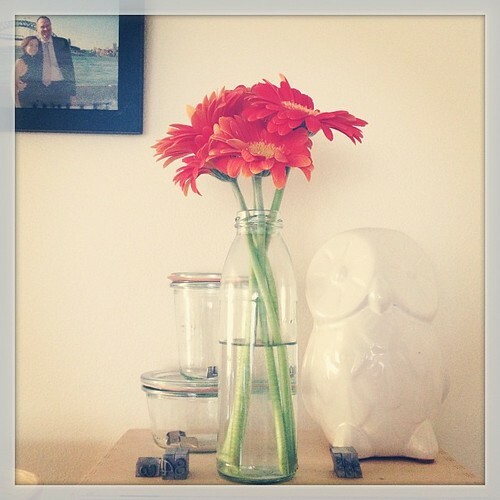 Thoroughly enjoyed reading this post and seeing what you’ve been up to JJ! Good grief woman! Don’t leave it so long next time. I had to pack a lunch to get to the bottom of this one. Did you know we were at the same mushroom cookoff as part of EDB? We’ll have to meet face to face at the next one. 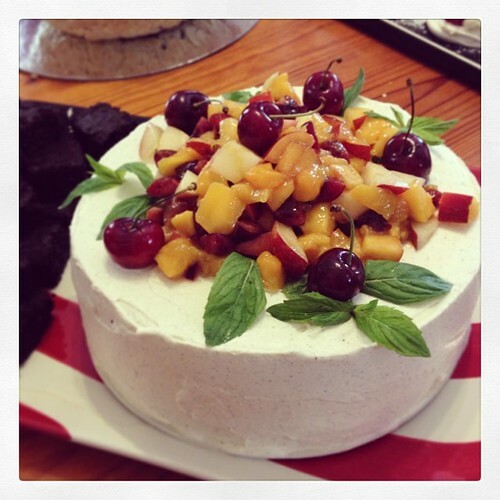 Great to see that op shop an vintage finds and that Tres Leches Cake. Nice hand modeling too RJ. Look forward to reading thoughout 2014.